GeocacheNG is on the hunt for volunteers to create 150 new geocaches in North Grenville in honour of Canada’s 150th birthday. Working with volunteers, GeocacheNG would like to launch these new hides together in time for a large geocaching event to be held this spring. Interested geocachers are asked to complete the registration form which can be found here. 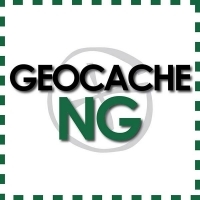 After registering, volunteers will be contacted with further information by the GeocacheNG team. Remember that placing a cache is a long term commitment. It is your responsibility to maintain the cache and the area around it. You will need to return as often as you can to ensure that your cache is not impacting the area negatively and to check that the container is in good shape. To learn more about geocaching, visit www.geocaching.com. GeocacheNG exists to engage the North Grenville community and its visitors with geocaching for fun, physical activity and education. The project continues to create opportunities to be more physically active by combining outdoor recreation and location-based gaming and treasure hunting. In 2016, the GeocacheNG project saw the introduction of a geocaching resource and equipment loan program with handheld GPS units and resource books available to borrow through the North Grenville Public Library. The Department of Parks, Recreation and Culture also has a class/club kit available for loan, including handheld GPS units and sample curriculum for engaging schools and local organizations in the activity. If you would like more information about the 150 for 150 geocaching project before signing up, please contact Tammy Hurlbert at or 613-258-9569 x123.